Homemade Sausage RollsPerfect for picnics to beach days and birthday parties! Homemade Sausage Rolls are perfect for so many occasions! From picnics to beach days and birthday parties. 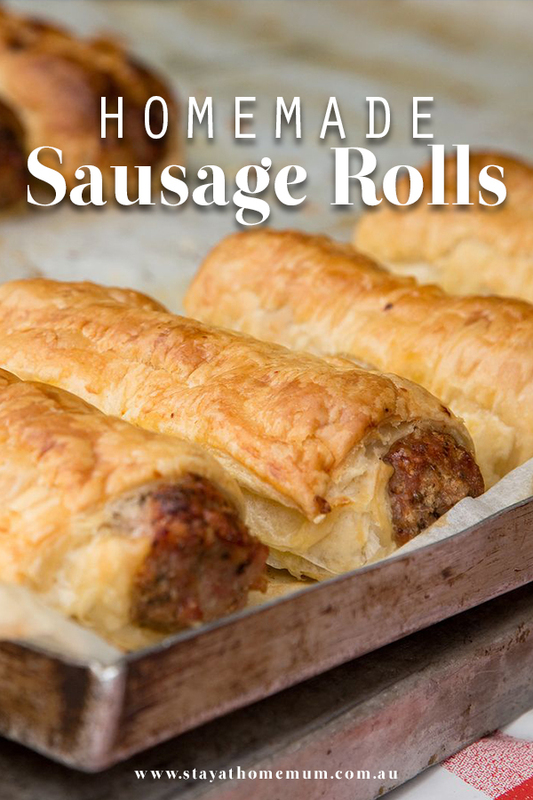 Truly…maybe we should say they are perfect for ALL occasions!Our sausage roll recipe is super easy and incredibly yummy! Best of all – make them in bulk and freeze them for a rainy day! In a bowl, mix the minced sausage, diced onion, egg, mixed herbs and grated veggies all together. Season well with salt and pepper. Add the breadcrumbs and again, mix well. Wrap up the mince in the puff pastry, brush with milk. Bake at approximately 25 minutes or until golden brown. To freeze the Homemade Sausage Rolls, allow to cool and layer between sheets of baking paper and seal in an airtight container for up to six months. We also have a gluten free sausage roll pastry recipe that you should try! 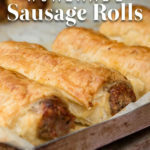 Perhaps a Chicken and Vegetable Sausage Roll recipe if your not keen on sausage meat?